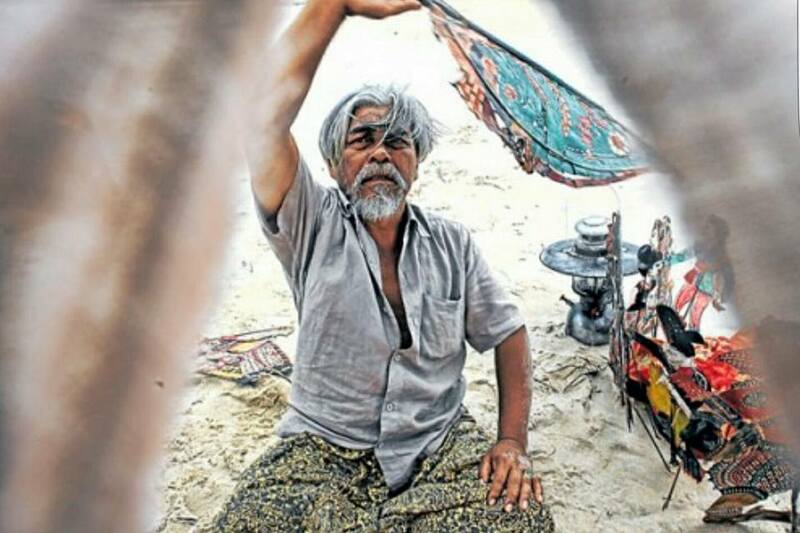 The emotional journey of watching Bunohan (2012) as a normal audience had reinforced me to view the film uncritically; “gila cantik gambar” (great visual), “power Faizal Hussein berlakon”(great acting), “art deep sungguh” (artistic). 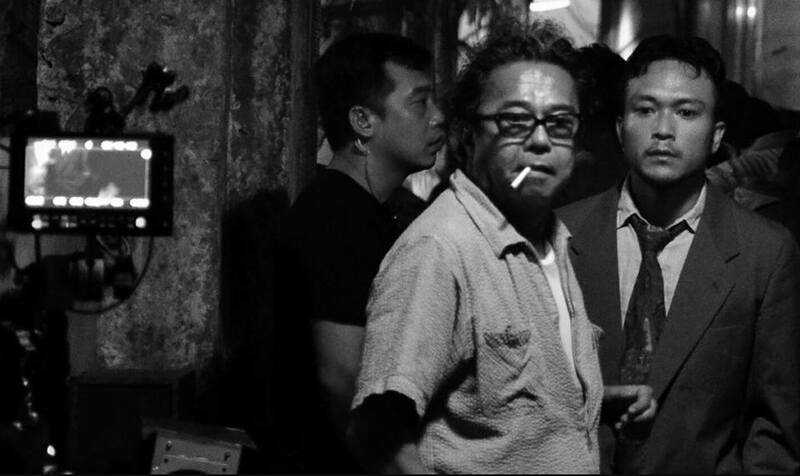 Undeniably, award winning director, Dain Said managed to challenge me to immerse into the totality of the film experience and to interpret how that experience was assembled as Bunohan was beautifully constructed of visual, aural, and linguistic components that were strangely manipulated in unique ways. As film has been the powerful medium to communicate and transfer messages, visual communications in Dain’s works signifies the transmission of information and ideas using symbols and imagery along with verbal communication and non-verbal communication. For example, the study of semiotics and semantics of symbols and visual communications in Bunohan and Interchange could be either straightforward or complicated for Malaysian audiences as it is highly associated with their social and cultural background. Decoding, interpreting and comprehending communication styles used by Dain Said in these two films is very essential as it helps the audiences to understand the films’ cinematic structures. 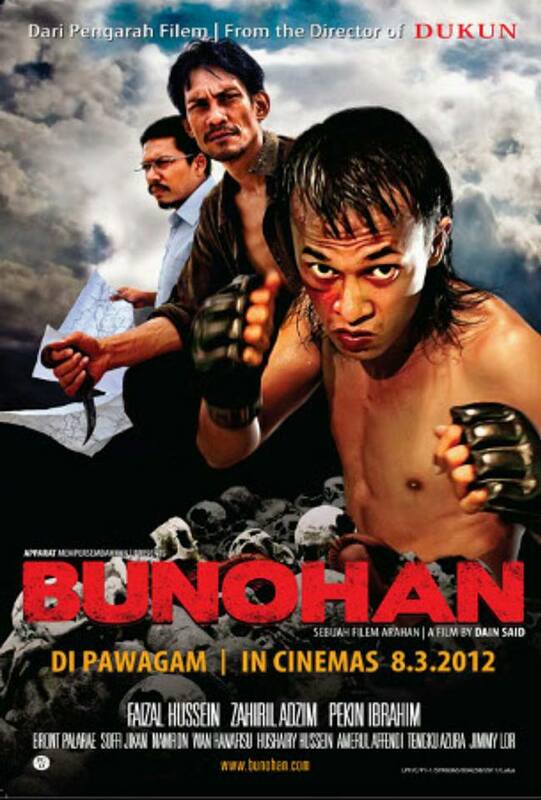 Thus, let us study the basic simple premise of Bunohan (2012), starring Faizal Hussein, Pekin Ibrahim, Zahiril Adzhim and Wan Hanafi Su that revolves the story of how three brothers, each with a murderous profession, flee their home country and family only to find themselves back together in the titular small border town where they are forced to deal with their pasts; depicting on familial connection, brotherhood and corruption of society in tackling fame and wealth. Interchange (2016) stars Iedil Putra, Shaheizy Sam, Nadiya Nissa,Nicholas Saputra and Prisia Nasution, on the other hand tells about the forensics photographer Adam who is dragged into investigating a series of macabre ritual murders in the city by his best friend Detective Man and Adam then befriends Iva who is on a mission to rescue souls of the people in her tribe who have been trapped inside a glass plate negative. I personally believe despite being avant-garde surrealist filmmaker who remains intent on subverting the local conventional filmmaking and exploring the realms of his cinematic capability, Dain Said, pertinently has also been standing as social and cultural anthropologists of visual communication; studying and telling the norms and values of societies and providing highly coded and selective information about the social lives of the local focused community or subjects. Bunohan and Interchange share Dain’s reflection on “proxemics” which is the use of space by the characters and how that affects the behaviour, communication, and social interaction of them. This is one of important elements of visual communication in a film that motivates the audience to understand the emotional impact portrayed by the characters via their personal territory including level of haptics (touch), kinesics (body movement), vocalics (paralanguage), and chronemics (structure of time). In Bunohan, the three estranged brothers, Adil, Bakar and Ilham and their ailing father are separated in the “public space” of their village but interconnected “personally” after tragic incidents. 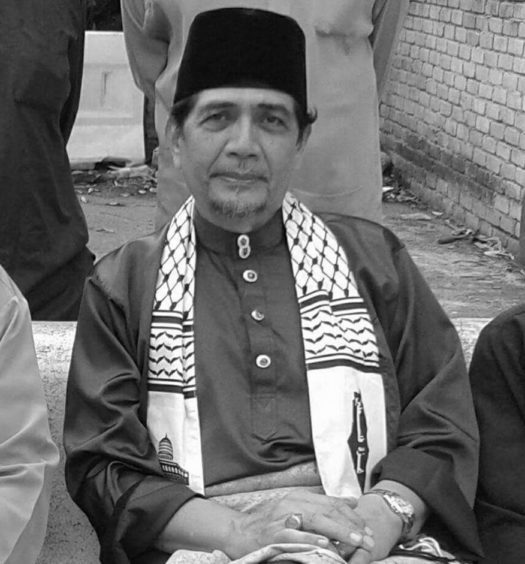 Despite staying with his son, Bakar, Pok Eng emotionally struggles to reserve his personal space and avoid building intimate space with Bakar and Adil. Dain’s brilliant narrative in showing the human space used in this father-sons relationship gradually brought audiences into the development of the characters. Carrying noir-fantasy thriller, Interchange somehow represents tactical dimension of space and proximity. The audience must be able to deeply engage on how interpersonal distances of characters, the organization of space as territories and the cultural factors related to proxemics portrayed within Man-Adam, Adam-Iva, Belian-Iva, Belian-Man and Belian-Sani relationships as it varies from one another. In the public space of Metro city, these characters strongly stand in their own personal space and develop towards special intimate space when they are emotionally and spiritually connected. 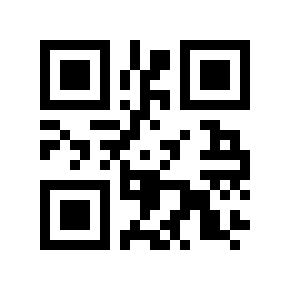 As communication reflects the process of reciprocal interaction in understanding messages between sender and receiver, we could also analyze the space codes used in Interchange within the supernatural and mystical dimensions. How Adam and Iva using their virtual connection can be explained from Previc’s Neuropsychology of 3D Space focusing on extrapersonal space; the space that occurs outside the reach of an individual. Beyond logic, audience must be convinced on the spiritual connection of Adam who can deeply immerse and embrace into the mystical spectrum of Iva and the tribe. This strong interpersonal connection within the extrapersonal space reflects the emotional journey of these two characters. Aptly, it is a cognitive learning process for the audience to be highly associated with Dain’s aesthetics approach in visualizing his bold artistic vision – confidently conjuring a world of magical shape-shifting shamans and mystical beings within the urban landscape. 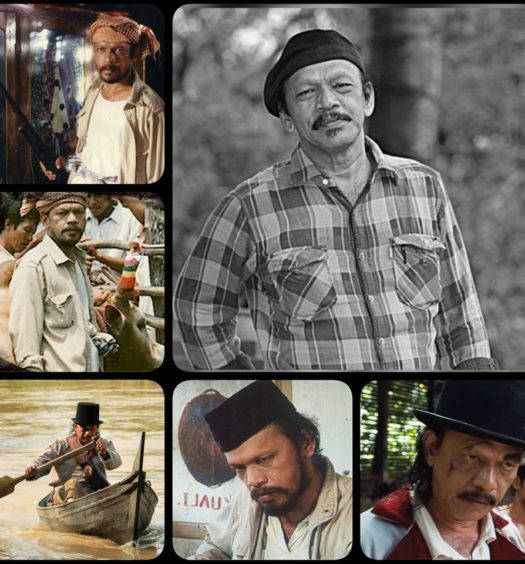 Let us analyze the amazingly dramatic performances of Faizal Hussein, Pekin Ibrahim, Zahiril Adzhim and Wan Hanafi Su crafted by Dain Said in Bunohan; portraying the semiotics of acting. As Bunohan communicates with the audience with subtext, symbols, metaphors and signs, the actors heavily required to project dimension of significant and meaningful performances. Thus, it is highly important for the audiences to decode transmitted signs by the actors as stressed by semiotican, Felix Guattari. Mysterious, naturalist and minimalist types of acting portrayed by the characters dealing with dark personality traits in Bunohan is beyond magic as they had to implicitly express anger, love, pain and struggle within their limited interpersonal communication context. Therefore, the elements of semiotics of acting include the actor’s body language, gestures, facial expressions, intonation, eye contact, postures and other vocal qualities crafted by Dain in Bunohan could link the audiences to the emotional journey of each and every character. Interchange interestingly demands Shaheizy Sam (Detective Man), Iedil Putra (Adam), Prisia Nasution (Iva), Nicholas Saputra (Belian) and Nadiya Nissa (Sani) to deliver semiotic codes and cues as introvert characters psychologically and spiritually. I could feel how Detective Man (Shaheizy Sam) had to use his persuasive and assertive non verbal gestures and postures in showing his referent power to Adam at the workplace and intimately as a caring friend. In fact, just analyze the variation of oculesics skills (eye contact) used by Sani (Nadiya Nissa) to express her assertiveness, avoidance, interest and refusal in transmitting codes and messages to different characters in this movie. Monotonous tone of voice by Iva (Prisia Nasution) has indeed become her special instrument to convey hidden messages to Adam as she is highly reserved and private. This example of paralinguistic codes (relying on vocal cues) in Interchange is very essential as the characters come from different walks of cultural and social background which they need to communicate beyond human language. 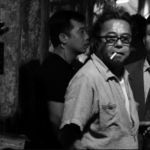 The ability of audience to explore the semiotic of acting portrayed in Bunohan and Interchange nevertheless driven by their level of exposure to visual adaptation, interpretational awareness and cinematic techniques. The positive reinforcement (perceptual, cognitive and emotional processes) of watching Bunohan as first hand experience could drive and educate the audience to embrace the similar cognitive states while watching Interchange although they both carried different styles. It has been an amazing journey and learning experience watching Bunohan and Interchange as both signifies Dain’s solid signature in crafting a unique language of metaphors and symbols as a visual storyteller. His both films positively reinforced audience to comprehend and interpret abstract concepts which hardly translated into words. 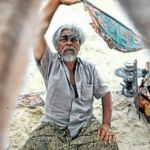 Thus, the communication process takes place when the audiences decode and give meanings to series of visual metaphors and symbols mapped out and established in Bunohan by Charin Pengpanich’s expressive cinematography; capturing the mythical and mysterious elements of rural countryside in Kelantan. Dain’s cinematic storytelling was manifested and beautifully presented with a set of visual images embedded under the additional layer of metaphoric meanings of magical sequences of a talking bird, a ghost-woman in the shape of crocodile, and a possessed boy. Besides, the dynamic metaphor of kelir wayang kulit and kerambit used by Ilham clearly established the spectrum of struggle and hope in dealing with obstacles and hurdles. In Interchange, the visual metaphors used required a specific contextual understanding in order to decode and appreciate the messages. As a dark fantasy noir, it has given me the cinematic experience in creating, organizing and constructing all the metaphorical signs conveyed by Dain Said. The reflection of drenched streets, flowing river, feathers of hornbill, or even the glass negative captured visually by Jordan Chiam carry an implied meaning in the journey of non-linear narrative. Communicative experience in Bunohan and Interchange has also been shaped with Dain’s injection of symbolic interactionism as the basis of human communication. As this communication theory strongly believes that society and individuals are created based upon the interactions between each other with the ongoing use of language and gestures in anticipation of how the other will react, all the characters in Bunohan and Interchange driven and shaped by their human communication and interaction. In Bunohan, the political, social and cultural context of the society strongly influence Ilham, Adil and Bakar to define their understanding of lives or based on power, dignity and struggle. How wealth, power and authority being defined in Bunohan carry the dominant masculine traits include courage, independence and assertiveness. The way Bakar interacts with his father using his diplomatic communication skills is pretty different from Adil who opts for persuasive styles in getting definite explanations of his background. Indeed, these traits vary by location and context, and are influenced by their social and cultural background respectively; Adil, the kickboxer, who was more or less kidnapped in the middle of a bout in Thailand; his half-brother Bakar, who has been living in the city and hopes to sell the family’s land to resort developers; and a professional killer named Ilham, hired to kill Adil but also finding it necessary to redress family grievances. Symbolic interactionism in Interchange is heavily reflected by language, symbols and images of both supernatural and reality world. As Sani, Iva and Belian undergo the process of identity exploration in the contemporary cultural and social settings, Adam and Man in contrast, assigned to understand and communicate with huge range of cultural symbols and ethnic identity of Tingang tribe while searching clues of unsolved murder cases. This association shapes how the characters communicate as collective entity and build perceptual and cognitive process of one another. Man becomes more heedful towards Belian and Sani as he interprets all the communication codes from the perspective of a detective while Adam progressively builds empathy towards Iva and her mystical journey as he could relate all the codes and cues with his personal experience. In conclusion, Dain Said has brilliantly applied and infused distinctive communication styles in his two acclaimed movies; Bunohan and Interchange. Visual, verbal and non verbal communication styles in those movies could be explicitly and implicitly manifested through some areas namely proxemics, semiotics of acting, visual metaphors and symbolic interactionism. The exciting journey of understanding Bunohan and Interchange from communication spectrum can bridge us to understand different perspective of this award winning filmmaker.